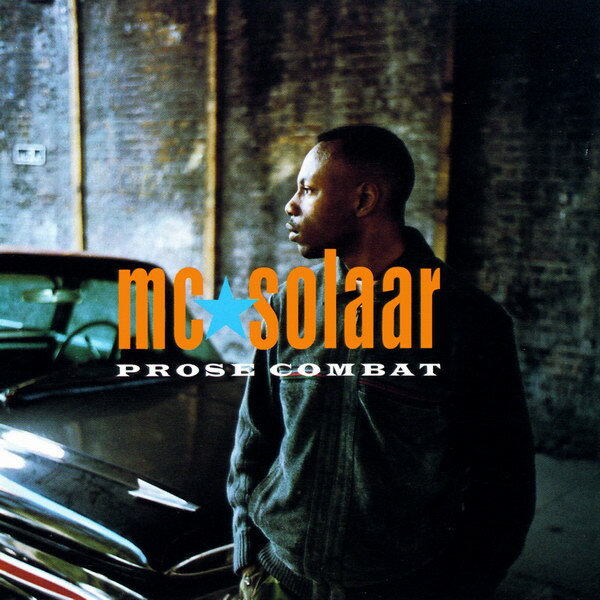 Prose Combat font here refers to the font used in the cover artwork of Prose Combat, which is the second studio album by the hip hop and rap artist MC Solaar, released in 1994 via Cohiba Records. The font used for the album title is probably Latin Wide designed by Will Carter and the font used for the artist name is probably Hadrian Bold produced by LetterPerfect. Both are available as commercial fonts and you can view details about them here and here respectively.